This image released by ABC shows co-host Meghan McCain right, being comforted by fellow co-host Whoopi Goldberg during her first appearance on "The View," in New York, Monday, Oct. 8, 2018, since the death of her father. Sen. John McCain in August. McCain thanked viewers and her colleagues for their support. 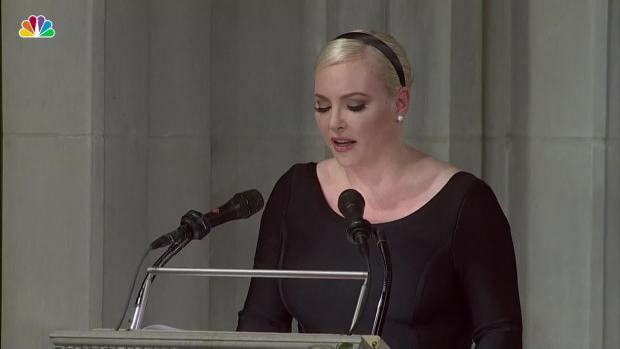 Meghan McCain, daughter of Sen. John McCain, appeared to take shots at President Donald Trump during her eulogy at her father's funeral.